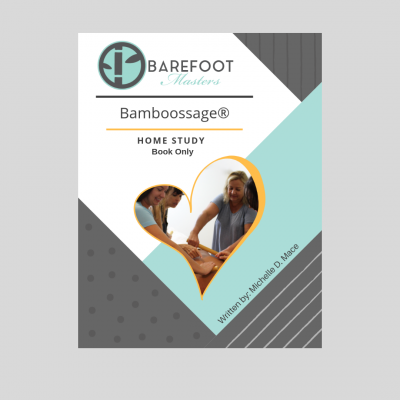 Bamboo Massage Online is a 16 CE NCBTMB approved course with 8 pc Toolset and Certification. The online program comes with easy to follow step-by-step instruction. You receive a digital manual with color pictures and a digital video with the audio instruction of the complete routine. Toolset will be shipped at no charge in the USA. *Toolsets will take 10-14 business days to ship. The Bamboo Massage Online is a 16 CE course. It includes the *8 piece Toolset. It is a convenient and inexpensive way to learn Warm Bamboossage for the table. This home study is self-paced, so take as long as you like to finish. The course provides easy to follow step-by-step digital instructions. Bamboossage® produces a deep tissue massage as well as a lighter Swedish. What do you get? The Bamboo Massage digital manual and video give detailed instructions of each move. This online course covers the following: History, Contraindications, Benefits, Care of the Toolset, *8 Piece Toolset, Hands-on Training, Marketing, Test, and Certification. The course comes with 16 CE’s approved by NCBTMB. When complete, download the certification and print it out. Read to know the Benefits of Bamboo Massage. 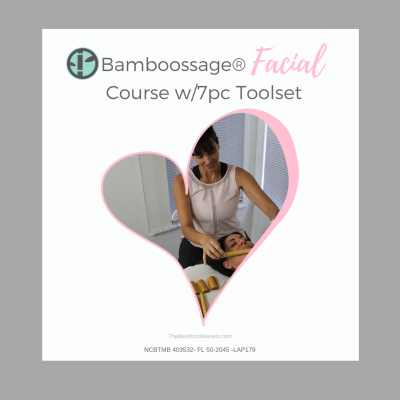 This Bamboo Massage online course is convenient because it is available 24/7. Plus it gives immediate access to the course. Once you buy the course, two email with instructions will arrive. Additionally, this home study is affordable because there is no printing or paper. The home study is digital. Likewise, it protects the planet! Now that is a win-win. Isn’t it time you give your hands a vacation from deep tissue massage? Then set your clients adrift with a Bamboossage to experience a mini-island respite. Whether in an office or on a mobile house call, this unique modality will set you apart from the competition. Our Bamboossage® Toolset is handmade in the USA. We built them to last. Shipping is free only in the USA. International shipping fees apply. How do we heat the Toolset? We recommend the Theratherm 27 X 14 Moist Heating Pad with a 60-minute timer. It is not included. It is available on the website or from Massage Warehouse. *The 8pc Bamboossage® tool set does not come with the 2-Tapotement tools pictured.